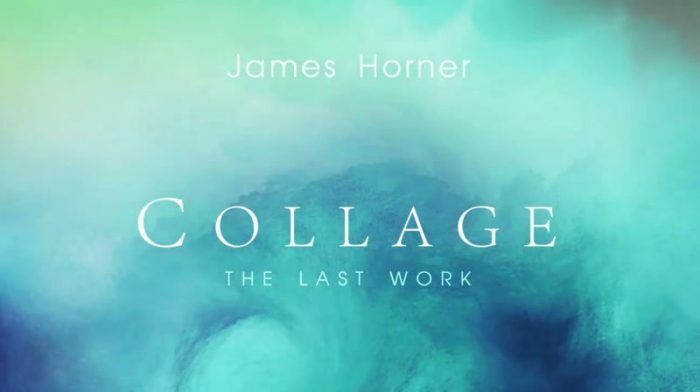 For a year many Horner fans interrogated us about a CD release of Collage and we were unable to provide any satisfaying answer as even we could not get any information when reaching Jaime Martin’s agent or communication staff at Trito, the record label Jaime Martin usually works with. 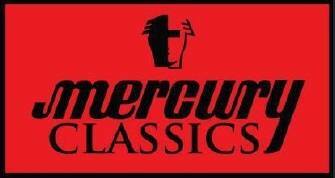 It is only in May this year that our contacts at Mercury Classics confided that they would release Collage next fall. This CD was announced to be a compilation of great suprises and we rapidly figured out that the Samuelsens were involved in this project, after they facebooked notes regarding recording sessions in Liverpool with Simon Rhodes. The next surprise is the appearance for the first time ever on CD of First In Flight, a short student film of 2012. James, being a notoriously passionate pilot, composed a fully orchestrated score, but due to budget restriction, the music ended up being recorded with synthesized samples. Conquest of the Air opens the album and Kitty Hawk, follows later on track 4. This is another strange way of presentation. Why did not the two titles follow each other? Aren’t they both one full work? 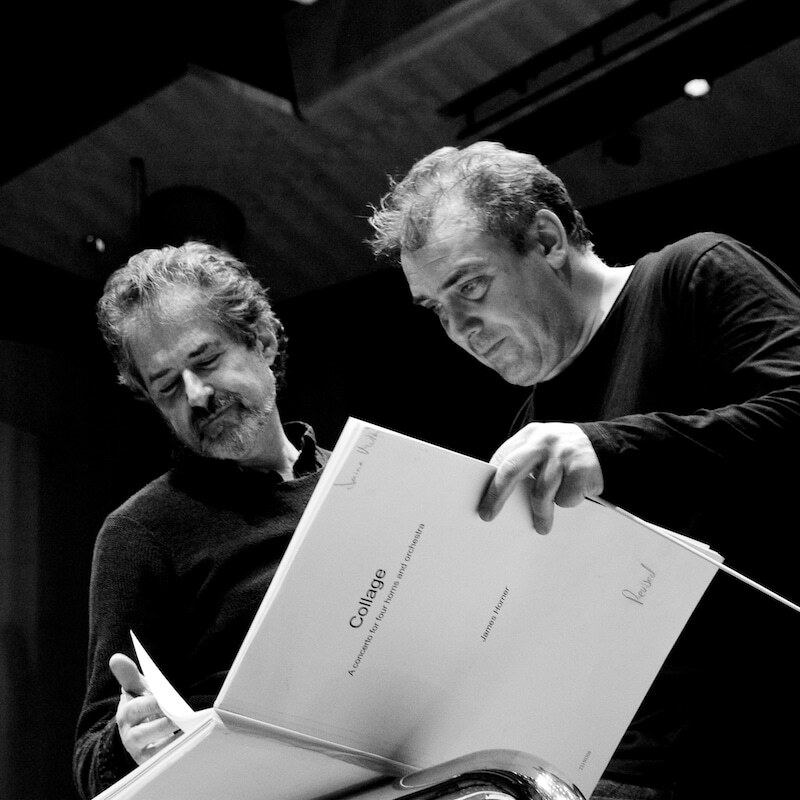 The other tracks on this recording, The Ludlows, Wolf Totem and Aliens, were chosen by James Horner for the concert in Stavanger, Norway, on 13 May 2015 (Pas de Deux was also performed during this concert), and Iris because Iris is sort of James Horner’s first violin concerto, with patterns that reappear in Pas de Deux. 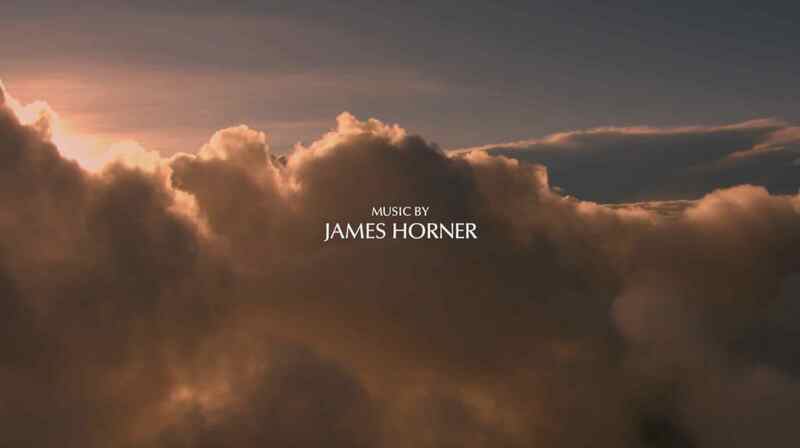 Behind the gloomy blue and yellowish cover suggesting compact clouds, you will hear wonderful and dazzling colors in the music of James Horner. And for that, this album is remarkable. Describing music in words is always a daunting task. How does one describe the often indescribable feeling of listening to a new piece of music, how the music pulls you in to a whole new sonic landscape and triggers emotions you're completely unprepared for? Seldom is this more true than with the music of James Horner. Perhaps the only thing you can be sure of is that it will be an emotional roller-coaster. With Collage – The Last Work, this once again rings true. It is not only a premiere of the composer's final work for the concert hall, but also a tribute to his memory, including pieces that to those that know his catalogue wonderfully captures his aesthetics and personality as a composer. The horn concerto actually rounds off the album, appropriately placed as "The Final Work". Pieces from the composer's career open the album and serves to immerse the listener in his vast and exotic musical universe, teeming with emotional swells and shimmering orchestral colors along the way. Nothing could be more appropriate to describe the late composer and aviation enthusiast than by opening the album with the previously unreleased cue Conquest of the Air from the student film First In Flight from 2012. This piece was like a journey back to childhood, from the opening notes from the harp, soon joined by piano and solo penny whistle. There's an unbounded optimism and sense of wonder throughout the cue. Like a child discovering something new, lost in wonderment and joy. Or like someone fascinated by flight experiencing the floating sensation of taking off for the first time. 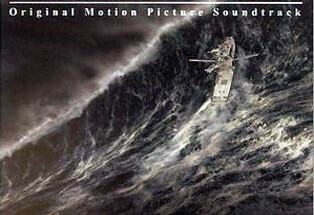 The thematic material hearkens back to Deep Impact and some traces of Braveheart and Titanic can also be heard. Next up is the popular and emotional The Ludlows from Legends of the Fall. An unsurprising inclusion on the album, with its romantic, sweeping themes. While technically not the most challenging piece for an orchestra, the piece has to be played "right", unapologetically emotional and free-flowing, something we think the performance by the RLPO captures beautifully. Mari and Håkon Samuelsen's relationship with Horner transcended the professional level, having developed a close personal friendship with the composer in the final years before his death. Their tribute together comes in the form of a new arrangement of Jose's Martyrdom from For Greater Glory, with Clara Sanabras' haunting vocals rearranged for violin and cello. The cue opens with the cello playing what Håkon describes as "icy cold" in the liner notes, with just a hint of vibrato. As the theme progresses, he is soon joined by Mari on the violin and the performance starts to let looser, gradually becoming more and more emotional. The two soloists alter between lightly dancing around each other and moving forward in unison, creating a whole new interpretation of the piece while still retaining the intense emotional core from the original. After the serious and dramatic twists and turns in Jose's Martyrdom we return to the delightful music from First in Flight with Kitty Hawk. Expanding on the material from the opening cue, this ten-minute piece really soars and brilliantly captures the excitement and triumphant spirit of finally achieving flight. Also of note is how the danger motif in this score has been altered slightly and incorporated into one of the themes (which has a slight relation to the freedom theme from Braveheart). Almost like Horner wanted to acknowledge the triumphs yet was aware of how risky an endeavor this was for the Wright-brothers. Wolf Totem was clearly a project Horner was proud of. To us this became very clear when the composer on his own initiative wanted to perform and conduct the piece when he visited Stavanger, Norway just a short month before his death. In fact, several pieces on this album were selected due to them being played in Stavanger. Both pieces are well performed and presented on the album, with slight changes stemming from the conductor's own interpretation, which are all fine. 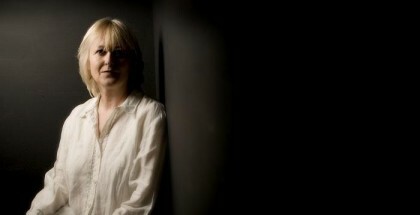 Mari Samuelsen appears yet again in Part I from Iris, originally performed by Joshua Bell. 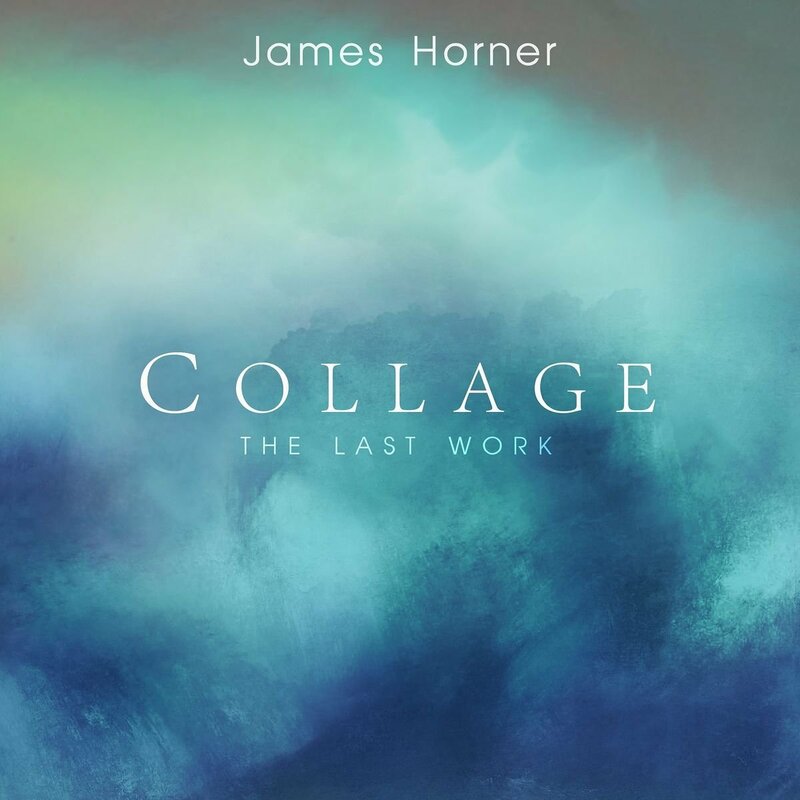 Horner's writing for solo violin echoes his writing a decade later for Pas de Deux with its gorgeous free-flowing style, almost playful in shape and tone, supported wonderfully by the orchestra and beautiful horn writing as only Horner could. Another misstep on the album is the suite from Aliens. Titled Suite No. 1, there does in fact exist a suite No.2, which is based on other cues from the movie. Suite No.1 is by far the most exciting of the two, including the ominous main titles and the frenetic and brutal Ridley's Rescue. The problem is that like the movie, the score for Aliens was presented as very gritty, brutal and raw. Here we get the polished and sophisticated version. While performed flawlessly, it comes across as too well-behaved. The piece lacks the animalistic aggression of the original, something the Stavanger Symphony Orchestra nailed when they performed the same suite under Horner's supervision (conducted by Torodd Wigum). During one of the rehearsals, the orchestra played like the house was coming down, when Horner afterwards said, with a grin: "Trumpets, play louder!". 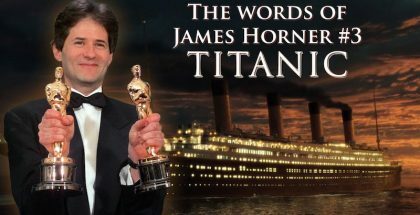 James Horner had given up a career in academia out of disappointment with the prevailing music aesthetics of the period, which was all about avant-garde, given over to wanted atonality. The avant-garde movement was all the rage in France and had found a way into the somewhat sheltered American academic circles too. The general intellectual idea was that emotions were trifle and base, and therefore had to be given a wide berth. 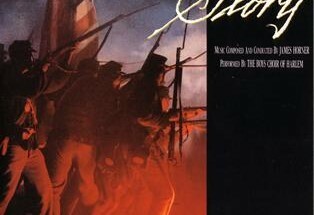 When James Horner finally succeeded in having Spectral Shimmers performed by the Indianapolis orchestra in 1978 and saw that the auditorium was not even half-full, he was saddened by the distance that had been created between the artist and the audience. This gap was unacceptable and Horner set about closing it. The discovery of the marriage between visuals and music was not just a serendipitous revelation, it was a liberation. 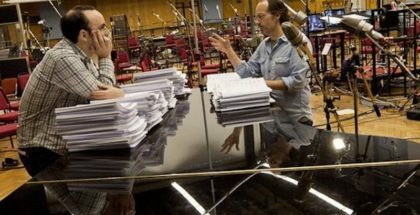 It would be another thirty years before Horner returned to the world of pure music, freed from the restraints of visuals, temp-tracks, timings, the need to fight hard for a place on the final soundtrack alongside dialogue and sound effects and the realization that some cues would end up being dropped, truncated or tracked into sequences for which they were not composed. Pas de Deux was Horner’s brilliant way of announcing that he wanted to communicate with an audience, both in the concert hall and on the CD album. The idiom of Pas de Deux was entirely his own, the culmination of decades spent finetuning a personal voice in an industry that often deals harshly with artists. Collage is the second chapter in a journey that ought to have continued for a very long time. Of course, it was stopped dead in its tracks, but we can dry our tears by listening to the music written by a composer who wanted to give his players and his audience a musical experience both meaningful and beautiful. 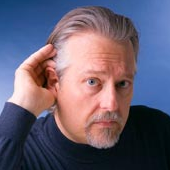 He invites us to listen carefully to Collage, a piece composed for four horns. Horner writes for his four musketeers and uses the orchestra as counterpoint. This concerto shows off the full sound palette and musical potential of the horn, heightened by the performances of four virtuoso players. The experienced Horner fan would not be wrong in interpreting this piece as a flight to the skies, constructed one step at a time. The horns and the orchestra are always in an ascending movement without ever trying to return back down to earth. The composer’s abstract journey takes us to imaginary places and leads to the discovery of sublime serenity in the midst of the raging elements, not unlike the paintings of Caspar David Friedrich. Right from the first notes, the ascending theme for horn, later taken up by all four of them, soars to the skies. After the introduction, we discover the soothing serenity of the glistening strings in a color palette James Horner experimented with during thirty years of working with the best players in London and Los Angeles. It’s the golden-hued textures we started hearing in, say, the nineties, and which Horner refined in the 2000’s. The orchestra invites us to join in the abstract journey, its colors engulf the listener and the horn quartet is always there for support. The piece keeps going, higher and higher. The players of the orchestra look for a destination and a goal, take a rest, allow the horns to take center stage in the Part II, during which the winds and subsequently the strings withdraw. The horns take over their melodic lines and try out new inflections before launching into a fanfare punctuated by pianos. This horn fanfare is familiar to fans who know the music Horner composed during the eighties, and it makes an appearance in virtually every movement. The strings take up an emotional line and explore it to the fullest, leading to a sublime moment at 3’44. The horns return in the Part III, beginning a new journey and choosing a new direction, the orchestra once more locking in on a new destination. The music soars ever higher, the horns try to escape the pull of gravity, their ascending movement carried by the the wind and the masses of hot and cold air, until balance is finally found. Every new part of the journey is accented by the fanfare, each new statement more confident and triumphant. 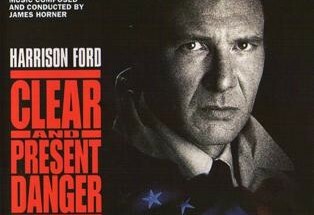 Part IV takes us into yet another direction, and again explores with hesitation and restraint. Where to go ? The breezy wind textures return, the horns searching. The oboe sings an elegy which sounds like a prelude to an apotheosis. The horns follow suit and put us on the road that leads to sublime beauty. There’s a brief pause for clarinet, oboe and flute. Part V reprises the theme and presents variations on it, with the piano, the rising movement of the strings, accents by the winds and brass chorales in tow. And there’s the fanfare again, now sounding decidedly majestic. Then comes perhaps the most exhilarating moment, when the orchestra is engulfed by broiling rhythms and thrown into turmoil. It tries to escape the tempest, the skies lit up by snaking bolts of lightning and growling thunder. 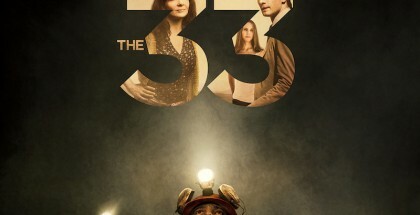 The listener desperately tries to return to the light and find a way out of the darkness. Part VI returns the traveller to a state of serenity, the horn transporting us to a balmy world of emotions and sunshine. One last blast of the fanfare takes the orchestra to its final destination, punctuated by tubular bells accents. The finale unleashes the full force of both the horns and the orchestra and ends a journey that, had dit not come to a sudden stop, would have continued into the mists of eternity, a seemingly endless flow of energy and emotion. Composed as an abstract journey of colors, Collage must have appeared to the composer as a river that constantly flows, accelerating now and slowing down then, only to pick up again and head for unknown shores. The abstract concept allows the piece to conjure images and emotions in the mind of the listener, who feels an immediate connection with this symphonic poem, steeped in the romantic idiom and replete with the colors of a typical Horner painting. Since we like to draw parallels (even though James Horner doesn’t force any subject on his listeners, apart from the one that stirs our common imagination), Collage reminds us of more recent concert pieces, composed in the twentieth century, such as Marc Blitzstein’s Airborne Symphony or Ned Rorem’s Eagles, which in their own ways sang the poetry of the skies. 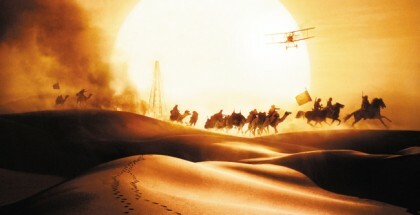 There’s also a connection with Flight (in which the theme of flying took center stage): the way in which Horner transforms into music the elation he felt when he escaped the pull of gravity. Along the way, he reached sublime emotional highs, moments of elegance and fulfilment he felt within himself, and which lend his music so much humanity and poignancy. Collage – The Last Work is a very refreshing listen, which encapsulates the very essence of James Horner's most emotional side of his art. It is both a combination of unknown and very familiar passages. If his music sounds yet familiar even in the works released for the first time here (First in Flight and Collage), it reaches a whole new level and has a deeper impact now. The tribute releases seem to at last occur, with the blu-ray of Hollywood in Vienna last June and now Collage – The Last Work. And we like to think that hopefully these are the first of a long serie, as there is so much unreleased material yet to be discovered or rediscovered: the documentary One Day in Auschwitz (2015), Flight – the piece he wrote for his three pilot buddies in 2010 and which was available on an average resolution mp3 format, his work A Forest Passage (2001) commissioned by the Cleveland Orchestra, his first academic work Spectral Shimmers (1978), to name only those. It seems that the Mercury Classics team, along with the wonderful Mari and Hakon Samuelsen and Simon Rhodes are well intent on bringing all they can to us, for us, for him. And we can never thank them enough. Many thanks to Alexander Buhr and Esha Glen, for giving us the opportunity to write this article. Special thanks to JHFM heroes: Etienne Walter, David Hocquet, Kim Østenfor Spildrejorde, Kjell Neckebroeck, Nick Martin, Tom Hudson and John Andrews. Thank you Alexander and Esha and all the JHFM Team for giving us this latest piece. It’s great to hear samples of the new CD and I now cannot wait to receive this one the week after The Magnificent 7.For UK, Classic FM on The Full Works 16th Sept, previewing Collage at 8pm.Pamela. 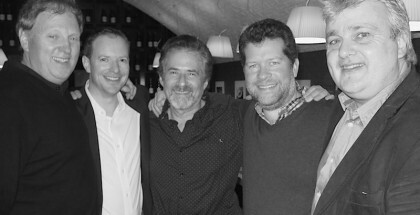 Thank you so much David, Richard, John and James …the best four horn players in the world. I have just heard again for the first time since 27th March 2015 your wonderful Collage. What a tribute to that special evening, how you must have felt playing infront of Mr.H.Cant wait for the CD, what a day now I have The Magnificent Seven as well. Collage is a very weak work. Lacking in contrast, tension, courage. A sad end to a great career.